The annotations commands are commands that let you create informative objects in SkyReal. This commands allow you to write in VR. 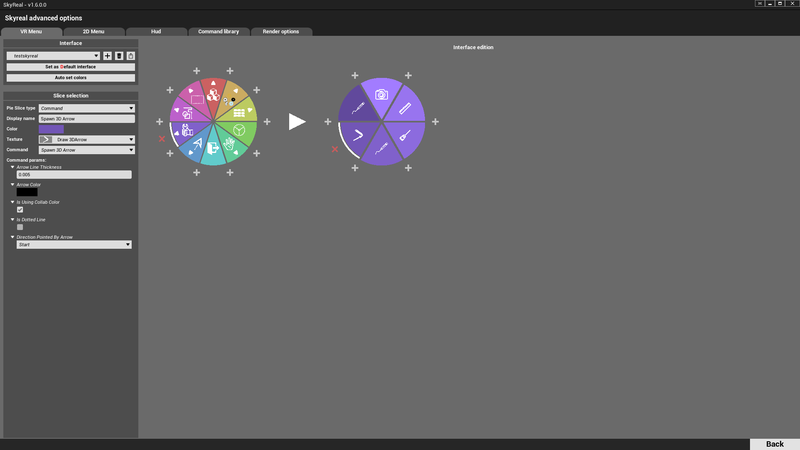 When the command is selected in the Pie menu, stay clicked on the action trigger on one of the controller and move the hand. By default, the 3d annotation is in the user collaborative color with a size of 5mm. Use collaborative color (true): this value indicate whether the annotation color should be the same as the user color or not. Annotation color: If the previous variable is false, apply this color to the annotation. 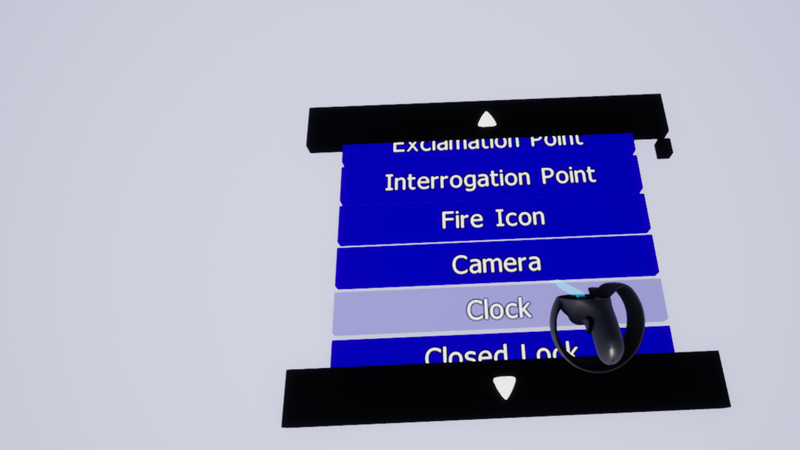 This commands allow you to take a measure between two parts in VR. When the command is selected in the Pie menu, the light saber turns red. Point on the first point of the measure and click on the action trigger of the controller. Point on the second point of the measure and click on the action trigger of the controller. To deport the measure, its possible to select it and move it with a manipulation command. 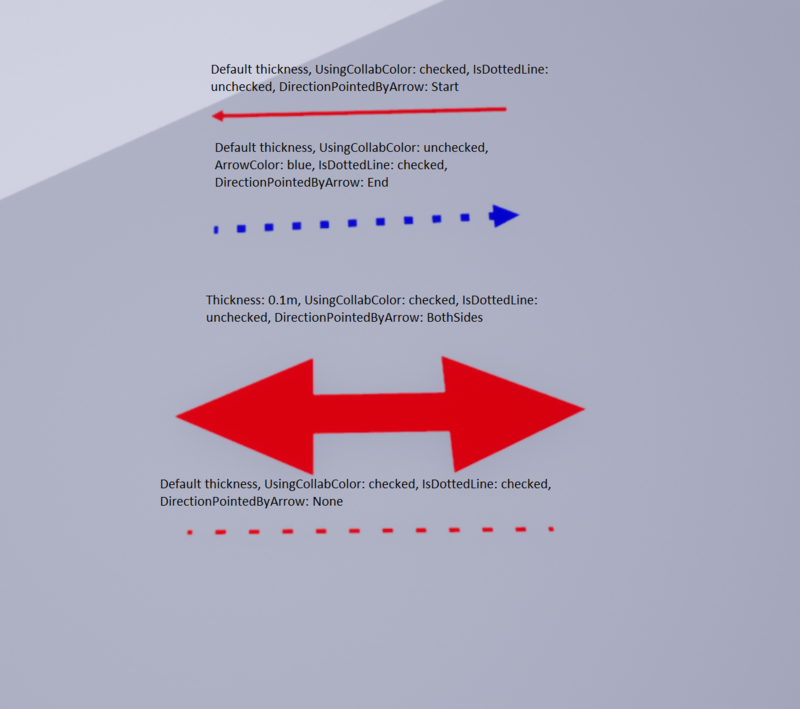 This command allows you to create 3D arrows in SkyReal. When you have selected this command, your hands will appear as pens instead of controllers. You will then be able to draw arrows with both hands (one at a time, you cannot create two arrows simultaneously) by pressing and holding the button under your index and releasing it where you want it to stop. The arrows you will have created are movable, you can thus reorient them once created. 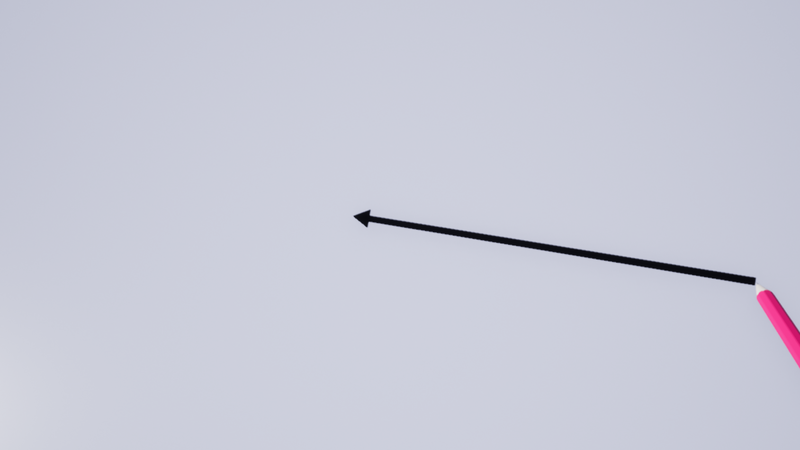 Direction Pointed By Arrow : by default, it is set to be pointing towards the point where you began to draw the arrow. It can be modified to point towards the point where you stopped drawing, it can point towards both points or none of them. This command allows you to create 3D symbols such as interrogation marks, exclamation marks among many other informative objects. When you have selected this command, your hands will appear as pens instead of controllers. 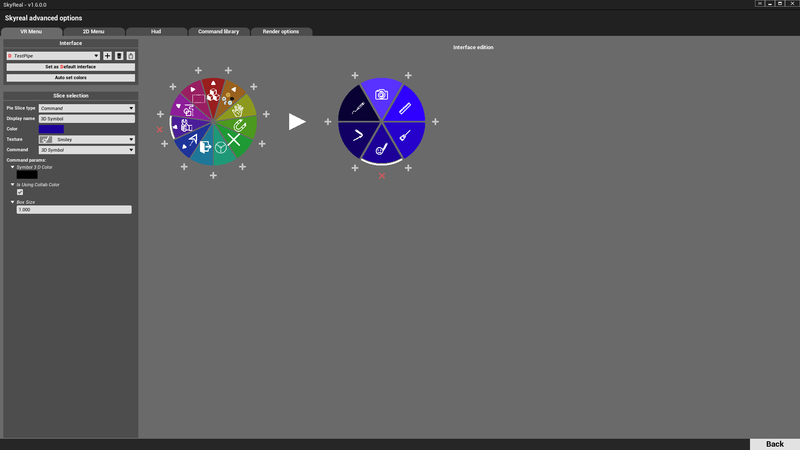 You will then be able to draw symbols with both hands (one at a time, you cannot create two symbols simultaneously) by pressing and holding the button under your index and releasing it when it has reached the size you want it to be created with. The further from the start point you hold the button pressed, the bigger the symbol will be, the nearer from the start point, the smaller. The symbols you will have created are movable, you can thus reorient them once created.